Might be worth contacting breed rescues just in case. Hi Angus and thankyou. The wirral were very helpful but no black and white shih tzus, pupandmut (springfield kennels)at wakefield would not say really and said they would've rehomed or sent such a dog to a rescue by now. Thanx for clarifying. Sandholme is about 4 miles from Howden right on the border of the 2 postcodes. Meggy went missing from Chapel farm in Sandholme, she never strayed and has a very noticable pronounced lower jaw. She dissappeared between 7and 8pm on 4th November. We are still actively trying to find her. Any help is gratefully received. 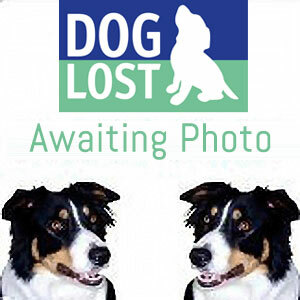 Owner your account is active can you please clarify exactly where Meggy went missing from? Thanks Jan, didn't want to be putting flyers out in the wrong area, will get printing, I'll get one to Vermuyden vets tomorrow. Hmmmm, I think there may be more than one Howden as the Howden near me is DN14, I'll wait before flyering. Poster emailed to Howden junior and primary, husband is in Howden twice a day 5 days a week on schoole run, will ask him to keep a lookout, will also ask him to give some flyers to the kids, will get some flyers out in Goole as soon as poss. Nearly 400 posters have been e mailed out to local helpers. Owner your registration has been activated. Owner can be contacted on 07731 747144. Awaiting photo.